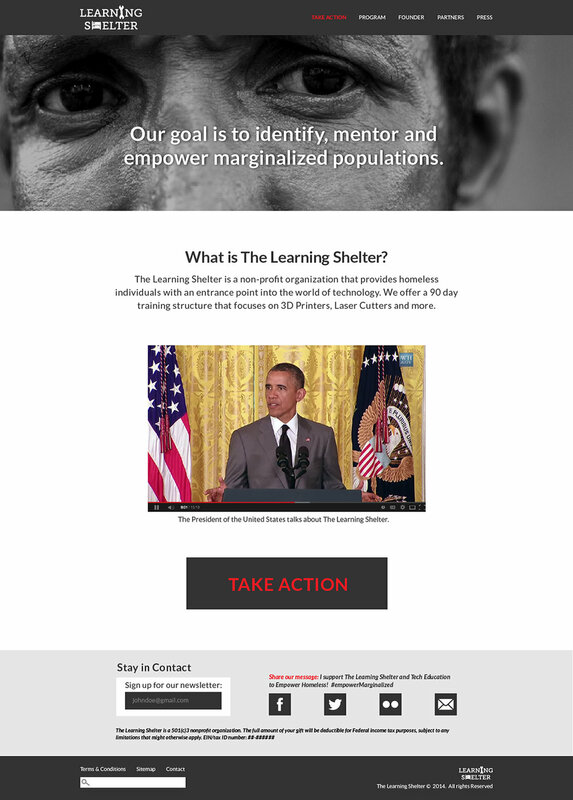 Website project for The Learning Shelter nonprofit, created in coordination with the San Francisco Mayor's Office of Civic Innovation and founder, Marc Roth. I worked to help shape the content and layout for the first draft of the website. Visual Design: 1st round visual design sample pages.